The Think Movement by J. Sakiya Sandifer » welcome to the future fellow thinkers!!! The development is similar to that envisaged in the film Minority Report, in which an individualâ€™s private thoughts can be readily accessed by the authorities. Neurologists at the university have already matched patterns of activity in the brain with static images seen by the person, and now say it is possible to â€œdecodeâ€� signals generated in the brain by moving scenes. Their work, which has yet to be peer reviewed, could lead to technology that would allow security agencies to interrogate prisoners. The experiment used functional magnetic resonance imaging (fMRI) technology to scan the brains of two patients as they watched videos, linking patterns of activity in the visual cortex of their brains with movement and colours in the footage. 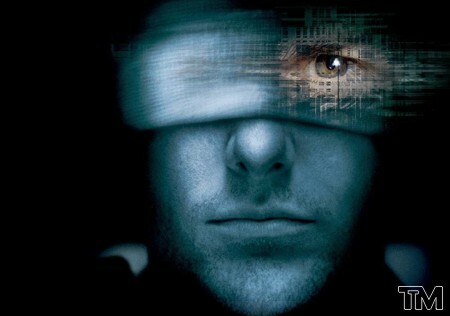 The information was used to program software to be able to display a blurry ‘mind’s eye’ version of the footage of the films the patients were watching. Scientists at University College London have conducted separate tests that detect, with an accuracy of about 50%, memories recalled by patients. The discoveries come amid a flurry of developments in the field of brain science. Researchers have also used scanning technology to measure academic ability, detect early signs of Alzheimerâ€™s and other degenerative conditions, and even predict the decision a person is about to make before they are conscious of making it. In Britain, fMRI scanning technology has been sold to multinational companies enabling them to see how consumers subconsciously react to brands.